Good afternoon everyone! I hope you are all having a great day! Today I have an awesome new to me subscription box to share with you guys. As you already know, I love subscription boxes and finding ones of value can sometime be difficult. 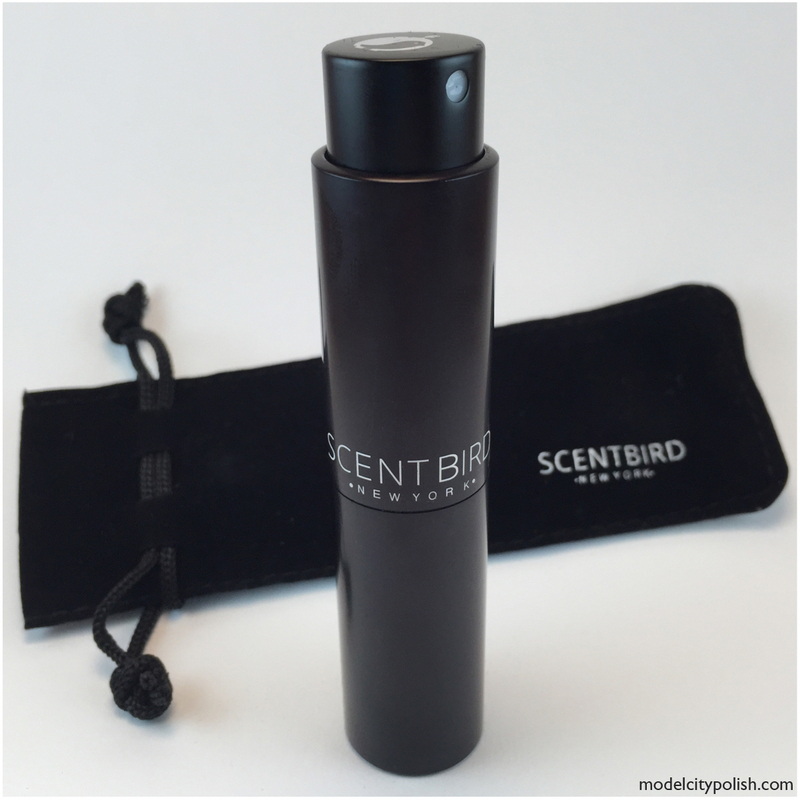 Well with Scentbird Fragrance Subscription, you get exactly what you want for a great price and awesome packaging. 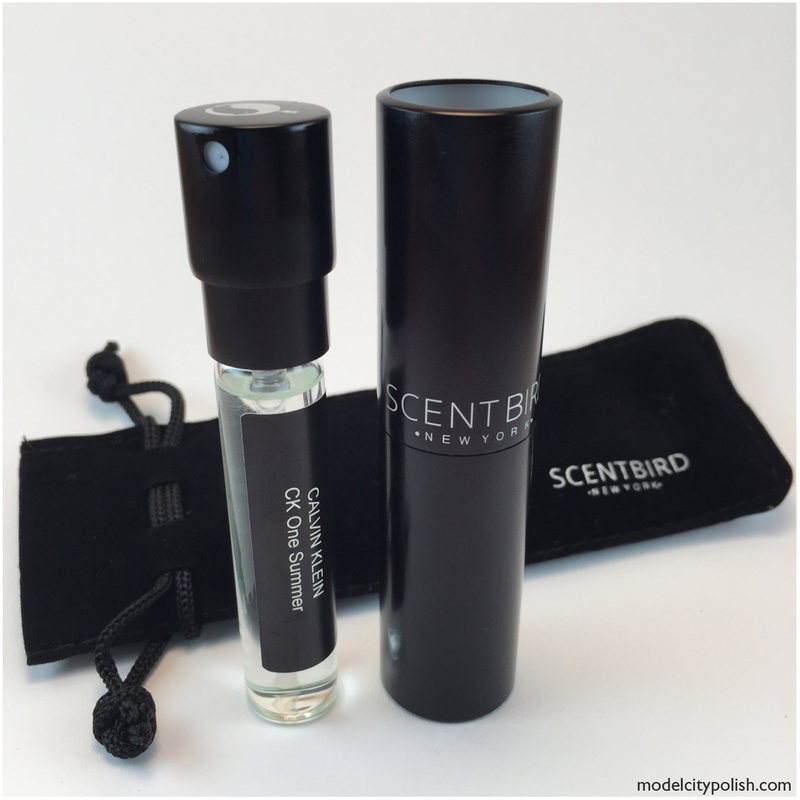 When you sign up for Scentbird you go through a questioner process to help narrow down scents that you might like and at the end are given some suggestions based off your answers. From there you can pick and choose what sample scent you would like to get each month, you can even build up for an entire year so no need to come back every few weeks! The sample size are very DELUXE and will certainly last you an entire month. Okay, now to look at the amazing packaging! When your first sample comes in you will receive a nice carrying pouch, a sleek container, and your sample product ready to use. 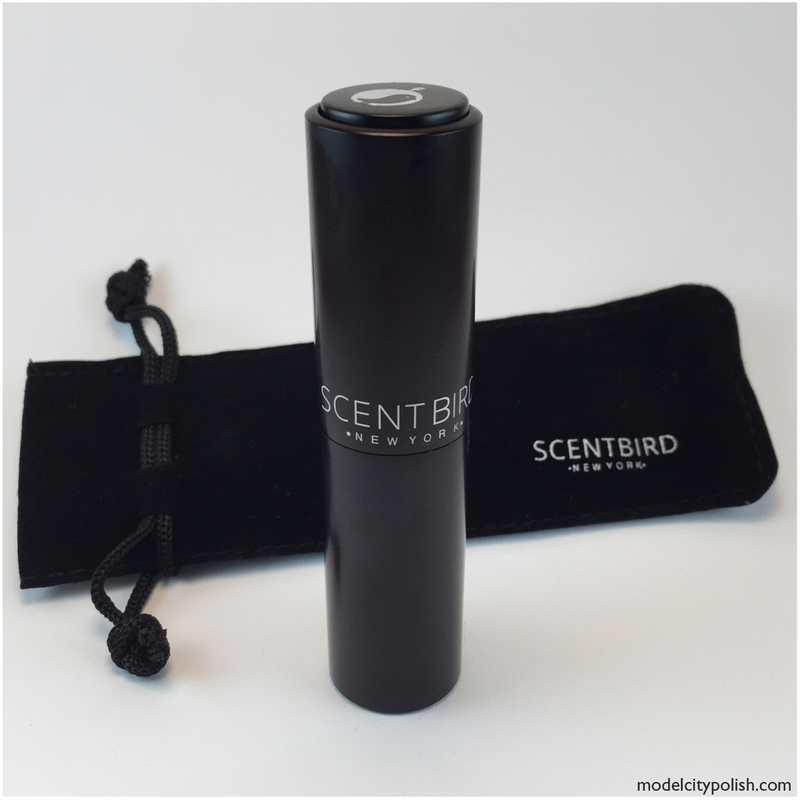 The pouch is perfect for throwing you perfume in and keeping is safe while in your purse, bag, or luggage. The container is nice and sturdy so no need to worry about glass shattering when it takes a sudden plunge on to your bathroom floor, and that’s not the best part… The spray nozzle retracts back in to the container so no need to worry about accidentally spraying everywhere when digging for something else in your purse. I love stealth, James Bondesq packaging and this one is certainly right up there as a favorite. When you finally use up your sample, or when you get a new fragrance in to try, you just twist and pull the old vial out, insert the new one, and twist! So as you can see in the photo, the vials are nicely labeled so if you change out before it’s empty you know what’s in it. By suggestion I went with the CK One Summer by Calvin Klein. I am a huge fan of CK Be, showing my age, and figured this would be a great option. This is a lovely sweet scent with hints of citrus and fruits, and ended up being just perfect for me. Wanna see the case in stealth mode…. This product was sent to me for review but that does not influence my final opinion.